SWITZERLAND, Zurich — Based on breaking news and events, it appears that the Obama administration (at the behest of CIA Headquarters beneath Lake Geneva) will stage a terror attack during the 2015 CMA Awards which will be held at the Bridgestone Area in Nashville, Tennessee on November 4, 2015. Exactly what type of terror is planned for the 2015 CMA Awards is not known, but a gun-related massacre which cuts down scores of celebrities and fans alike is the most likely terror scenario. ISIS-inspired beheadings and/or suicide bombings are also a realistic possibility. That being said, it now appears that a 9/11-style bio-chemical attack may be in play for the 2015 CMA Awards. Said attack will likely be executed by ISIS and/or so-called domestic terrorists previously witnessed at the Bundy Ranch standoff in Nevada. The CIA could also engineer a so-called “accident” or “natural disaster” during the 2015 CMA Awards (e.g., building collapse, earthquake, fire, gas explosion, melee, stampede, stage collapse, vehicular manslaughter attack, etc.) which would also kill and terrorize thousands of music fans in attendance. Lastly, the notion that a state-sponsored terror attack is now in play for the music industry was confirmed back on August 13, 2014, when a CIA-spawned publicity stunt depicted an “Ebola-infected ISIS terrorist” sneaking into the Rock and Roll Hall of Fame via Lake Eerie en route from Canada. SWITZERLAND, Zurich — Based on breaking news and events, it appears that the Obama administration (at the behest of the CIA in Switzerland) is preparing to execute a wave of airports-related terror attacks in Americas. That being said, the CIA could also stage airport-related attacks elsewhere in the world. Exactly what type of airport-related terror attacks are planned for the U.S. is not known, but a 9/11-style attack, bio-terror attack, gun-related massacre, suicide bombing, hostage crisis, and/or prolonged made-for-TV siege are the most likely terror scenarios. An airport hotel terror attack is also a possibility. 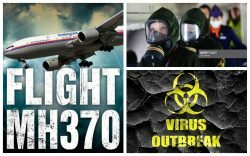 The 9/11-style attack may come from Malaysian Airlines Flight MH370 which was explicitly hijacked by CIA on March 8, 2014, in order to execute a surprise WMD attack. That being said, Flight MH370 could also be used to transport hundreds of ISIS terrorists from Iraq, Jordan and Syria into a western country. In what appears to be the latest U.S. airport slated for terror, it was reported on September 13, 2015, that the Nashville International Airport terminal in Tennessee was evacuated briefly for a suspicious bag. Predictably, the threat turned out to be a false alarm. Whether the timely evacuation provided the necessary cover for the installation of weapons and/or explosives within Nashville International Airport is not known, but it’s highly likely. Said weapons and/or explosives could be utilized at a later date in a coordinated state-sponsored airport-related terror attack. In what appears to be an ominous sign of 9/11-style airport terror to come, it was reported back on June 5, 2015, that a man was accused of plotting suicide bomb attack at a Kansas airport. Needless to say, the attack has set the precedent for a suicide-related attack, possibly via Flight MH370. Four days later on June 9, 2015, it was reported that Homeland Security is now looking for the leaker of a report on U.S. airport-checkpoint failures. In other words, the weakest U.S. airport checkpoints are now public knowledge and will predictably be exploited in the near future by state-sponsored terrorists. In what appears to be programming for a 9/11-style attack on a U.S. airport, it was reported on July 29, 2015, that a plane crashed at Milwaukee’s Timmerman Airport, killing at least one. Whether foul play was involved is not known, but it’s highly likely. Three days later on August 1, 2015, it was reported that Hartsfield-Jackson Atlanta International Airport leads the United States in the number of guns found at security checkpoints. The report was evidently designed to foreshadow a gun-related attack, possibly in Atlanta. In order to foreshadow that airports are unsafe just prior to an unprecedented airport-related terror attack, it was reported on August 3, 2015, that a Special Olympics athlete was found after disappearing from LAX. The incident was likely staged in order to draw international attention to airports, just prior to a false-flag attack. A day later on August 4, 2015, it was reported that a man drove a car through a New Orleans Airport fence and onto the runway. The incident was likely staged of fabricated in order to set the precedent for a domestic and/or jihad-related attack/assault on a U.S. airport. Roughly a week later on August 10, 2015, it was reported that a suicide bomb hit the Kabul Airport in Afghanistan amid a surge in violence. The attack was in all likelihood a U.S. drone strike designed to set the precedent for an Islamic terrorist attack on a U.S. airport. Two days later on August 12, 2015, it was reported that the Orlando International Airport is opening a prayer room for Muslim fliers. The room and the report were created at the behest of the CIA in order to associate Muslims (and thereby terror) with airports just prior to a state-sponsored attack. A week later on August 19, 2015, a man arrested after running onto the Denver airport ramp where he was allegedly trying to stop plane. Again, the incident was likely staged of fabricated in order to set the precedent for a domestic and/or jihad-related attack/assault on a U.S. airport. That same day, August 19, 2015, the musician Morrissey stated that a TSA worker “put his finger down my rear cleavage”. Although only conjecture, it’s highly likely that Morrissey is a Freemason tool and that the incident is just a publicity stunt designed to show that the TSA is molesting people rather than stopping terrorists. Eleven days later on August 31, 2015, a Kansas man was reportedly sentenced to 20 years for plotting suicide bomb attack at Wichita airport. Consequently, a 9/11-style attack and/or suicide bombing may now be in order for a U.S. airport. Lastly, the notion of an airport-related attack was witnessed back on March 21, 2015, when the New Orleans Airport came under attack by a man who was carrying a bag with 6 Molotov cocktails. The airport attacker was reportedly armed with a machete and explosives. After executing the attack, the terror patsy was evidently double-crossed and executed by federal agents the same day, March 21, 2015. In order to sell the notion that U.S. airport security is flawed in a post-9/11 world, a scandal regarding the TSA was fabricated by the CIA on June 2, 2015, when it was reported that TSA screeners failed to test for and detect explosives and weapons. In response, Homeland Security reportedly beefed up airport security screening after the report, giving the U.S. government plausible deniability in the wake of an unprecedented U.S. airport-related attack. 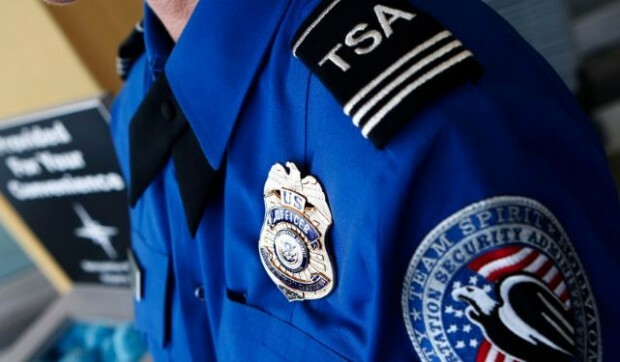 In order to make the TSA scandal appear real in nature, on June 2, 2015, the acting head of the TSA reassigned after the so-called watchdog report revealed the airport security failings. Less than a week later on June 9, 2015, the Inspector General released a report which stated that TSA officials failed to identify 73 workers who were “linked to terrorism” . The timely report confirmed, albeit in a de facto manner, that the impending U.S. airport attack will be an inside job, most likely executed rouge TSA agents. Back on April 10, 2014, a photo of San Francisco Airport appeared in al-Qaida’s magazine “Inspire”. Since Al Qaeda and ISIS are the primary terrorist arms of the CIA, the magazine’s “photos” are in essence the targets that the CIA is planning to attack. The notion that Islamic terrorists wants to execute an airport related terror attack was foreshadowed back on October 6, 2014, when a teenager was arrested at O’Hare Airport in Chicago after trying to join ISIS. Less than a week later on October 12, 2014, U.S. General Dempsey stated that ISIS had “straight shot” to Baghdad airport, implying that an ISIS airport attack may be forthcoming. Roughly 5-months later on March 7, 2015, a female ISIS recruiter was reportedly arrested at the Barcelona Airport. Less than 24.-hours on March 8, 2015, 2 teenagers were reportedly stopped at the Sydney Airport on suspicion of trying to join ISIS, further suggesting that an ISIS-related airport attack is imminent. 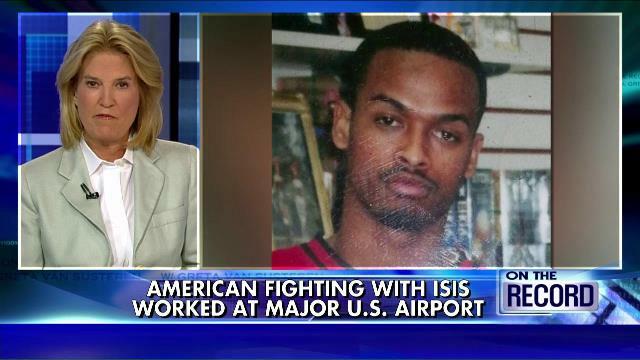 Needless to say, these reports, taken collectively, confirm that an ISIS-related airport attack is now in play. 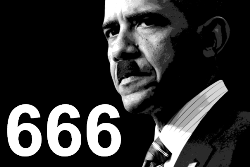 SWITZERLAND, Zurich — Based on breaking news and events, it appears that the Obama administration (at the behest of the CIA in Switzerland) is plotting a wave of horrific race war attacks in Tennessee and its surrounding states. According to a USA Today report from August 19, 2015, entitled “Hate Group Linked to Charleston Shooter Meeting in Tennessee”, the Council of Conservative Citizens is holding its annual conference this weekend at the Guesthouse Inn in Nashville, Tennessee. According to the state-sponsored Southern Poverty Law Center, the state-sponsored Council of Conservative Citizens is a racist organization that reportedly served as the inspiration for the murder of 9 African-American churchgoers in Charleston, South Carolina. Since potentially hundreds of highly racist people will be gathering in Nashville this weekend, race war attacks in Nashville and elsewhere in Tennessee are likely now in play. Said attacks will likely target African-American churches, community centers, social events and sporting events. That being said, other minorities may be attacked as well. Because Tennessee is surrounded by Kentucky, Virginia, North Carolina, Georgia, Alabama, Mississippi, Arkansas and Missouri, race war terror attacks allegedly committed by members or associates of the Council of Conservative Citizens are to be expected in the days and weeks after the conference. That being said, it’s also possible that the CIA may attack the Council of Conservative Citizens Conference at the Guesthouse Inn in an attempt to spark a race war. Said attack may be blamed on the Black Panthers or another state-sponsored organization. The notion of a motel-related explosion was coincidentally witnessed on August 19, 2015, when a Motel 6 blew up in Washington state. Needless to say, the incident was likely staged in order to set the precedent motel-related terror attack, possibly in Nashville. Exactly what type of race war attacks are planned is not known, but gun-related massacres, church bombings, church burnings, and fire-related attacks on minorities are likely planned. That being said, vehicular manslaughter attacks may be executed as well. In what appears to be pre-race immolation terror programming, it was reported on August 17, 2015, that a man set himself on fire at Columbus City Hall in Ohio. Whether the incident transpired in reality is not known, but it has set the precedent for race-related immolations nonetheless. Coincidentally, two days later on August 19, 2015, it was reported that a Detroit-area mayor is seeking a citywide ban on personal flamethrowers. Since there are no impersonal flamethrowers, it can be deduced that the ban is a publicity stunt designed to raise the profile of flamethrowers just prior to them being used in a race war attack. Lastly, the notion that the Obama is actively attempting to spark a race war in American was confirmed, albeit in a de facto manner, back on August 22, 2013, when a U.S. Department of Homeland Security employee was caught red-handed promoting a race war against whites within the black community. SWITZERLAND, Zurich — Unable to execute a terror attack on the 2015 World Cup, it’s highly likely that the Obama administration (the CIA in Switzerland) will stage a terror attack on the U.S. Women’s National Team (USWNT) when they play Costa Rica this week. The U.S. Women’s National Team could be targeted just prior to, during, or right after their August 16, 2015, match in Pittsburgh, Pennsylvania and/or just prior to, during, or right after their August 19, 2015, match in Chattanooga, Tennessee. Exactly what type of attack is planned for the U.S. Women’s National Team games in Pittsburgh and Chattanooga is not known, but on August 15, 2015, Vice President Joe Biden called the Chattanooga gunman was a “perverted jihadist”, rehashing the attack just prior to a possible redux attack. The notion of soccer players coming under fire was just witnessed back on August 11, 2015, when a Turkish soccer player named Mehmet Topal reportedly survived a gun-related attack. Needless to say, the incident was likely staged or fabricated in order to set the precedent for an upcoming gun-related attack at a high-profile soccer game. There is also the possibility that a U.S. Women’s National Team game could be attacked 9/11-style, possibly with a plane laden with bio-chemical weapons. This notion was foreshadowed back on July 23, 2015, when MI5 and British Defense sources stated that ISIS will bomb soccer games with drones. That being said, ISIS-inspired beheadings, gun-related massacres, and/or a made-for-TV hostage crisis are also a realistic possibility. Since the U.S. Women’s National Team just won the 2015 World Cup, an attack on its players will be seen as an attack on America which is exactly why the team is being targeted. There is also the possibility that the CIA could engineer a so-called “accident” or “natural disaster” during U.S. Women’s National Team games (e.g., biological outbreak, fire, gas explosion, stadium collapse, vehicular manslaughter attack, etc.) which would kill and terrorize thousands of soccer fans in attendance. SWITZERLAND, Zurich — Because time is running out for the CIA in Switzerland to stage what is euphemistically known as Obama’s “transformative moment” (i.e., a 9/11-scale terror attack), they may resort to attacking the Ultimate Fighting Championship (UFC) on Saturday, August 1, 2015. The MMA event entitled “UFC Fight Night: Teixeira vs. Saint Preux” will be held at Bridgestone Arena in Nashville, Tennessee. The event will be headlined by a light heavyweight bout between former title challenger Glover Teixeira and Tennessee resident Ovince Saint Preux. Based on the location of the fight and the plethora of MMA-related terror plots identified by Truther.org, it’s highly likely that the CIA in Switzerland will attempt to attack the high-profile with an Islamic or domestic terrorist-related terror attack. Exactly what type of terror attack is planned for UFC 190 is not known, but HSBC Arena could suffer an attack by Malaysian Airlines Flight MH370 which was explicitly hijacked by CIA on March 8, 2014, in order to execute a surprise WMD attack. Because Rio de Janeiro is located just off the Atlantic Ocean, Flight MH 370 could fly in off the water from an undisclosed location (e.g., Cuba) at full speed, attacking the fight prior to a retaliatory military response from the Brazilian Air Force. In order to draw global attention to Flight MH370 just prior to an attack on UFC 190, it was reported on July 29, 2015, that debris found in the Indian Ocean is now being checked to see if it emanated from Flight MH370. Since an attack by Flight MH370 is imminent, the debris will predictably not belong to the missing flight. There is also the possibility that the CIA may engineer a so-called “accident” or “natural disaster” (e.g., biological outbreak, building collapse, fire, gas explosion, vehicular manslaughter attack, etc.) inside or outside HSBC Arena that would kill and terrorize thousands of fight fans in attendance. AUTHOR’S NOTE: Because I, David Chase Taylor, am currently in the process of applying for political asylum in Switzerland, which is coincidentally home to the CIA, the state-sponsored terror plots and so-called “natural disasters” I expose rarely come to fruition. In short, the Swiss CIA does not want to afford me any more publicity or credibility than they have to, lest they turn me into a modern-day prophet. They also do not want to provide yet another open-and-shut case as to why I deserve political asylum. For those wondering why I would apply for political asylum in Switzerland, consider this: a) I originally applied for asylum in Switzerland on March 8, 2011, roughly 2-years before I discovered that Switzerland was harboring the CIA; and b) the CIA has historically not shat were it eats in Switzerland. That being said, the CIA has now been exposed for the first time in history. Consequently, they are extremely desperate and may attempt to assassinate me Switzerland. Exactly what type of terror attack is planned for the Bonnaroo Music & Arts Festival is not known, but it will most likely consist of a gun-related massacre, suicide bombing, and/or bio-terror attack. That being said, a 9/11-style attack on the event is also a possibility. The feds could also engineer a so-called “accident” or “natural disaster” during the Bonnaroo Music & Arts Festival (e.g., fire, gas explosion, melee, stampede, stage collapse, vehicular manslaughter, etc.) which would also kill and terrorize thousands of music fans in attendance. Back on June 10, 2015, it was reported that Uber is now offering helicopter rides at the Bonnaroo Music & Arts Festival for $1,500. Consequently, a future terror scenario in which a domestic and/or jihad-related terrorist crashes a helicopter into the crowd is also a realistic possibility. Since the Bonnaroo Music & Arts Festival will be seen live in real time, a terror attack would be witnessed by millions of viewers around the world. The horrific images of dead and dying musicians and fans would then be uploaded onto social media platforms (e.g., Facebook, Instagram, Twitter, etc.) and replayed ad nauseam, terrorizing the world for years to come. Back on April 7, 2015, it was reported that singer Adam Levine was attacked on stage by a so-called fan. The incident, which was likely staged by an intelligence operative, was evidently executed in order to set the precedent for an on-stage attack. SWITZERLAND, Zurich — Based on breaking news and events, it appears that the Obama administration (at the behest of the CIA in Switzerland) will attempt to stage a terror attack on the 2015 FedEx St. Jude Classic in Memphis, Tennessee which is being held on June 11-14, 2015. Exactly what type of attack is planned for the 2015 FedEx St. Jude Classic is not known, but considering that the event is in Tennessee, a “race war” attack targeting African-American players like Tiger Woods is the most likely terror scenario. Should terror strike, it will most likely involve one or more AR-15 assault rifles. In what appears to be a CIA-spawned publicity stunt designed to raise the notion of lurking danger at a PGA golf tournament, it was reported on April 25, 2015, that defiant black snake refused to make way for a golf cart at the Zurich Open in Louisiana. Lastly, in order to foreshadow the notion of golf-related terror just prior to an attack, it was reported on May 24, 2015, that an enormous sinkhole opened up at home to Legends of Golf. The course hosts the PGA’s Champions Tour’s Bass Pro Shops Legends of Golf. In what appears to be a Roman-like blood sacrifice to a successful golf-related terror attack in 2015, golf instructor Wesley Mensing was struck and killed by a car in New York City on January 3, 2015. Whether foul play is involved is not known, but considering the following wave of golf-related terror, Mensing’s death is highly suspect. In order to set the precedent for golf-related terror attack prior to one manifesting itself in reality, it was reported on January 20, 2015, that PGA tour player Robert Allenby was kidnapped, beaten and robbed after meeting friends in Hawaii. Predictably, the CIA-spawned publicity stunt turned out to be a hoax. Roughly a week later on January 28, 2015, it was reported that amateur golfer Ashok Bakshi suddenly died on a golf course in Dubai. Whether or not Bakshi was assassinated as part of a Roman-like blood sacrifice to a successful golf-related terror attack is not known, but his death is highly suspicious to say the least. In what appears to be pre-golf terror programming, it was reported on January 29, 2015, that a family was hacked to death on a golf estate in Cape Town, South Africa. The shocking murders were evidently committed in order to set the precedent for a golf course attack. Lastly, on January 29, 2015, it was also reported that Kel Nagle, a champion golfer from Australia, died at the age of 94. Whether or not Nagle was assassinated as part of a Roman-like blood sacrifice to a successful golf-related terror attack is not known, but his death is highly suspicious to say the least. Back on April 9, 2014, Truther.org published a report entitled, “Sandy Hook 2.0 State-Sponsored School Terror Attack Likely by Summer Break” about a school-related attack possibly occurring in Florida. Low and behold, less than an hour after publishing the report, a hit-and-run driver sent another vehicle crashing into Arnold Palmer Hospital for Children in Orlando, Florida, killing one and injuring 11 children. Evidently, the Orlando daycare was slated for a state-sponsored terror attack in part because of its affiliation to one of the greatest golfers ever, Arnold Palmer. Since the 2014 Masters Tournament was starting the next day (April 10, 2014), the foiled golf-related terror attack would have gotten 4-days of non-stop media coverage. However, once the school terror attack was foiled, the hit and run accident was executed so that intelligence agencies could create a lockdown scenario around the Arnold Palmer Hospital in order to dispose of the weapons and/or explosives which had been previously stashed inside the building for the attack.